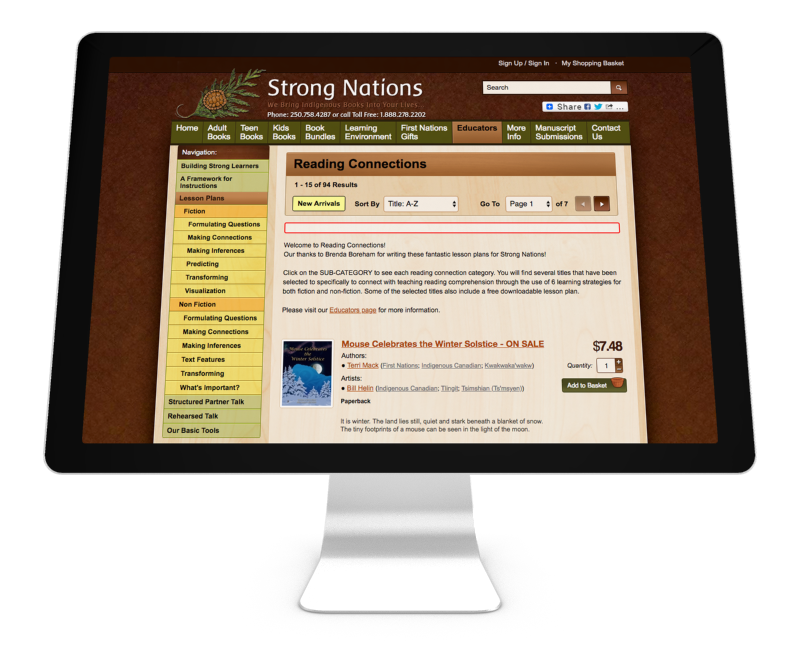 Strong Nations is First Nations publishing house on Vancouver Island. You will find several titles that have been selected to specifically to connect with teaching reading comprehension through the use of 6 learning strategies for both fiction and non-fiction. Some of the selected titles also include a free downloadable lesson plan. Please visit the Educators page for more information. 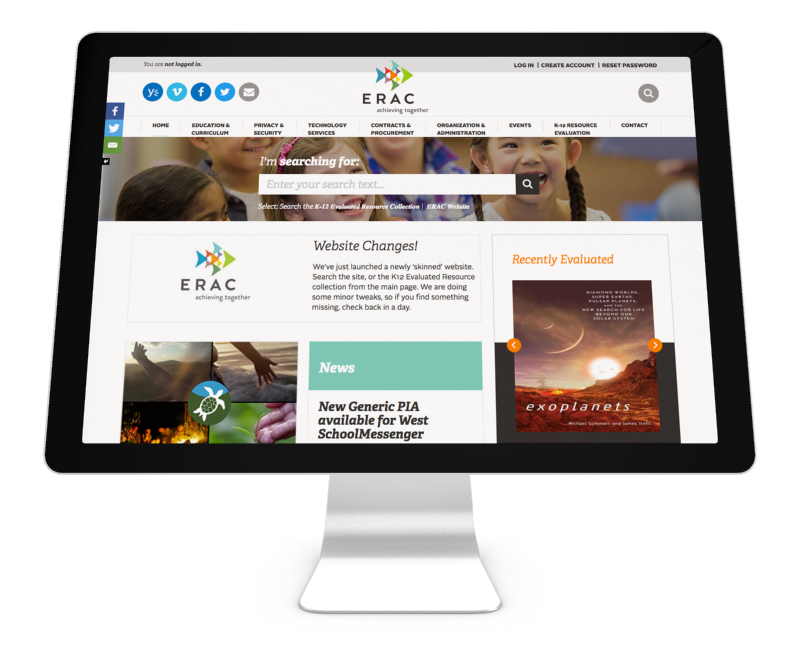 ERAC is a member-based organization providing services to the K12 education sector in B.C. and the Yukon. Membership is voluntary and includes BC public school districts, Yukon Education, and BC independent schools. 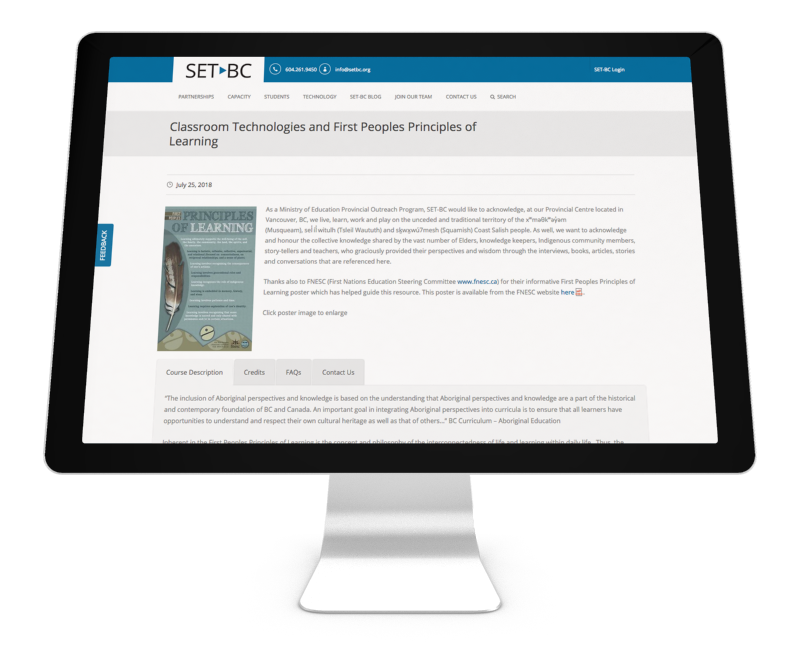 This course explores examples and strategies of ways teachers can use technology-based projects aligned with the First Peoples Principles of Learning to begin infusing a First People’s perspective into their classroom environment and community. 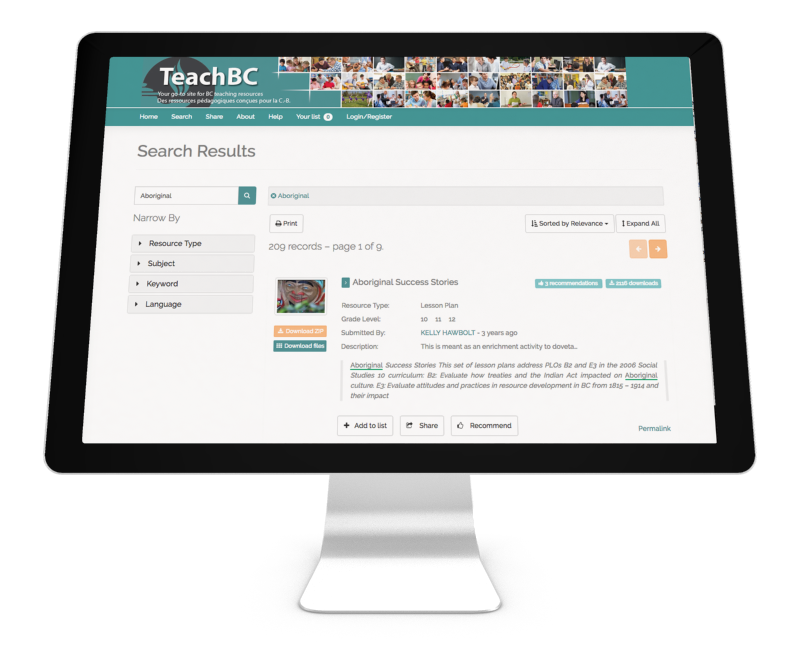 Your go to site for BC teaching resources.